McKenzie Towne School Parent Association: Reminder - MTSC/MTSPA Meetings Tonight! 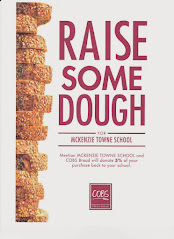 Tonight is the first meeting of the McKenzie Towne School Council and is also the AGM for the Parent Association. Whether you can attend some or all of tonight's meetings, we strongly encourage parents to join us. We will be beginning with a meet and greet at 6:15 pm and the council meeting will begin at 6:30 pm. Please have a look at the agenda for the council and parent association and bring them with you to the meetings. During the school council meeting, we will be holding elections for a co-volunteer coordinator position and all three candidates for school board trustee will be joining us. The parent association will have updates regarding the playground and a discussion about fundraising goals and spending priorities.